Who are the drum waiters? 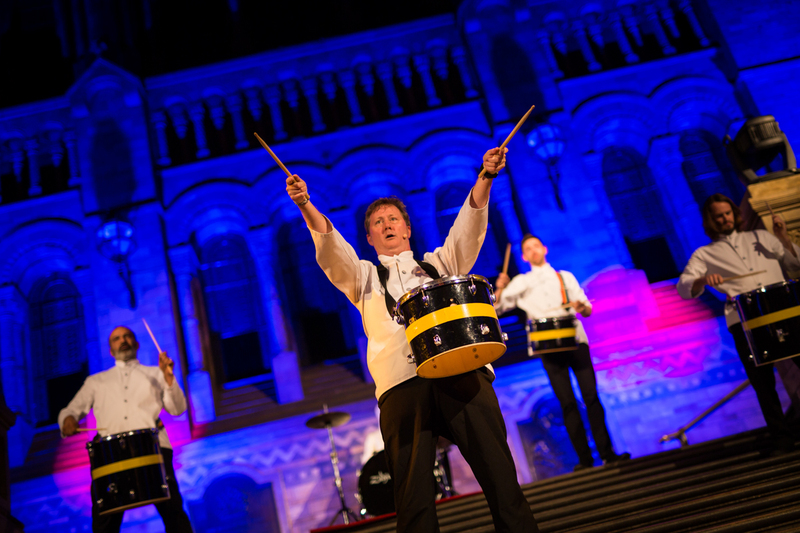 The Drum Waiters provide surprise after dinner entertainment in a fresh, highly animated and inventive way. 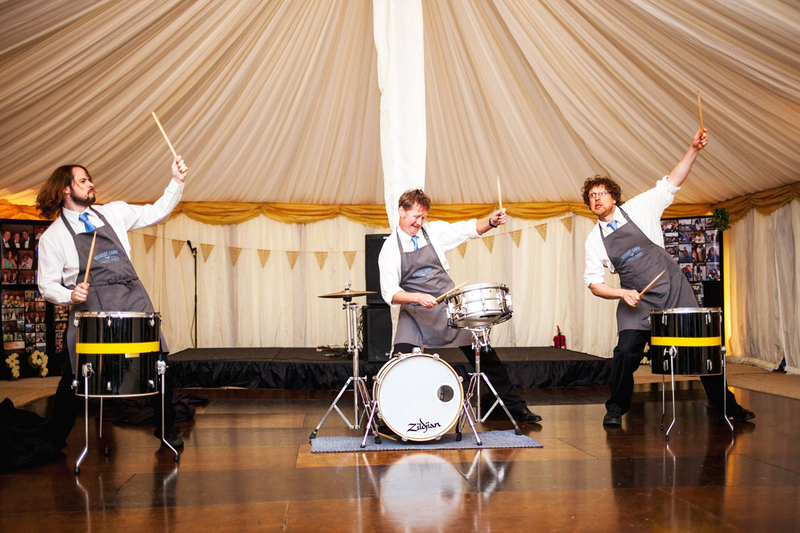 Ideal for corporate events and hospitality, award ceremonies, weddings, product launches, private parties and celebrations, The Drum Waiters cook up a storm at any event with their dynamic beats and charismatic performances. Can I say a huge thanks for your performance yesterday. The feedback from the staff was just amazing. Very different and very entertaining. Just a quick note to say thank you for an excellent event last night for the CABI group. They thoroughly enjoyed the evening and there has been some great positive feedback since. Hopefully we will work again soon on another event! Thank you for coming last night, it was amazing. Everyone is talking about it today and had a great time! Thanks again for an amazing experience at our conference. 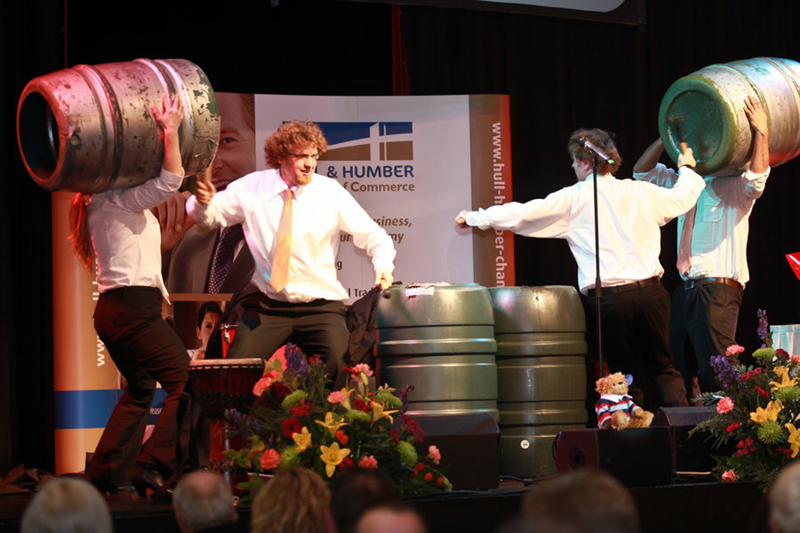 Our team absolutely loved the drumming this afternoon as well as the drum waiters last night. The feedback we have had is excellent. On behalf of our directors and staff I'd like to thank you and your team for making our party such a success. 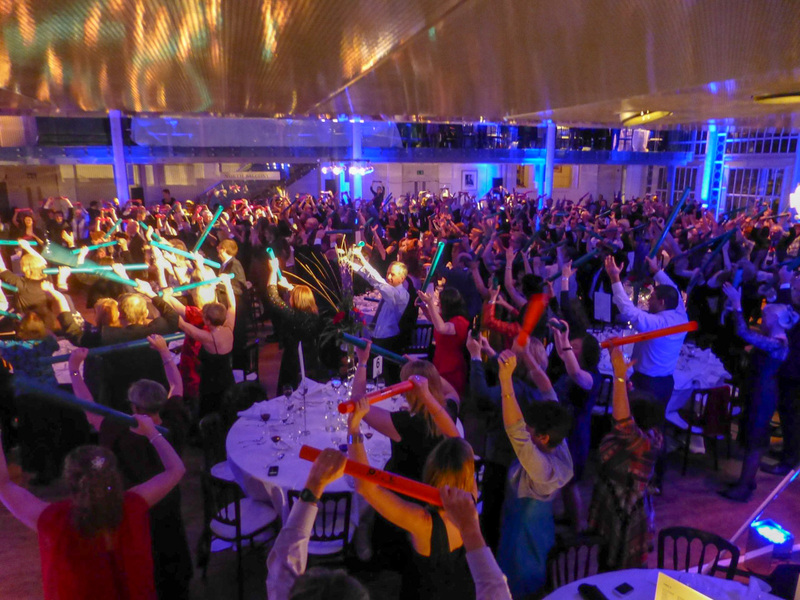 I've had lots of excellent feedback; the boomwhackers went down particularly well. We have had nothing but positive feedback from Friday evening! A huge thank you to you and your team for putting on a fun and memorable evening! Everyone left the evening in a vibrant mood and we loved it! We will need something similar for a future event! Thank you so much for the show - it was fantastic. You and your guys worked so hard to make sure everyone had a great time and we certainly did. So many people have talked about your performance, it really was a hit. I am so grateful to you for fitting into the evening so easily, I know that there were lots of ‘I don’t knows’ before the event, and thank you for being so flexible. The clients really enjoyed your show as did we and I do hope that there will be a chance to get you all back here in the near future. 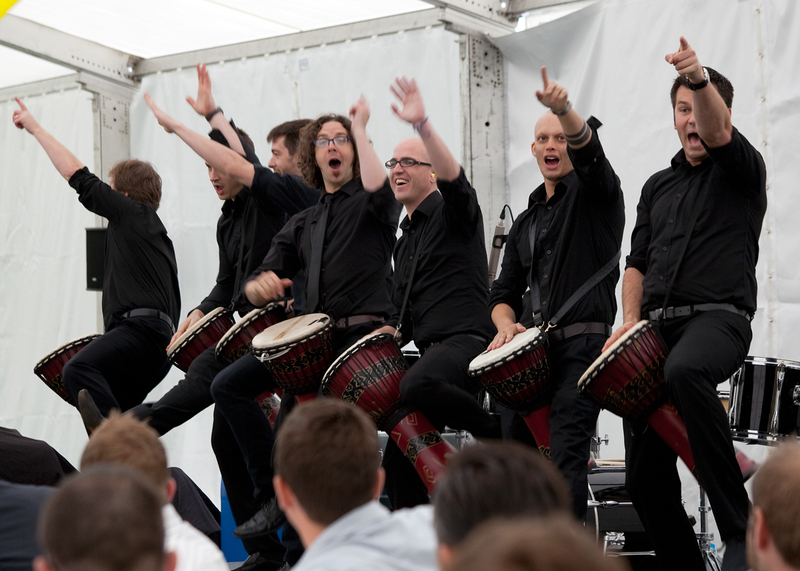 Your drum waiters went down a storm - superb! Really helped to finish our conference dinner off with a bang - literally. Many thanks for accommodating us at short notice. Thanks for all your support Mark and for really taking charge and helping to shape things yesterday, it was a pleasure to watch you work and you really helped shape the whole score of the music. Thanks Mark – you and your drummers were an absolute pleasure to work with and you delivered a truly fantastic performance on the night. You listened to our direction and were considerate of our sometimes challenging needs, which really did help make this work so well and with such great impact. What a roaring success you were! Thank you for a really great ending to a somewhat staid dinner! Thank you for the wonderful performance you and your crew provided, and for being so flexible. It was a real pleasure to work with you. You and your team really livened up the event and made it memorable. Just a quick note to say a huge thanks to your team following on from their performance on Friday night – they were fantastic! They brought a lot of fun and energy to the evening and I would not hesitate to book them again! They were very professional and kept me updated throughout the evening, and they were all brilliant at blending in with the other waiters! You and the boys did a fantastic job, pitched perfectly for the audience, and not in the easiest of venues. The number of mentions you've had in the last 24 hours has been countless and I will carry a number of the images of smiling faces around the room with me for some while. Thank you, and I'm sure we will work together again. It was a pleasure to work with you guys and I will let you know dates for the next event as soon as I have them! Thanks very much to you and the guys, you did a great job, it was really good fun and I was amazed at how energetic the performance was - everybody loved it!